Easter is just around the corner. 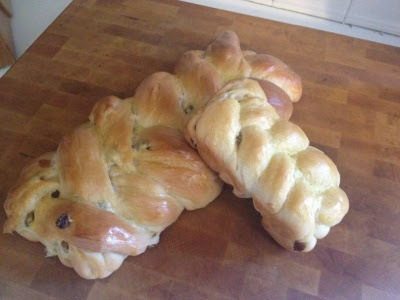 It’s the perfect time to make some delicious Easter Bread! My husband loves the flavors of anise and sweet golden raisins. And the best part about this recipe? Even with his love of Easter Bread there are plenty of leftovers to make Easter Bread Bread Pudding (bread pudding is his favorite dessert). That’s right, extra bonus points. 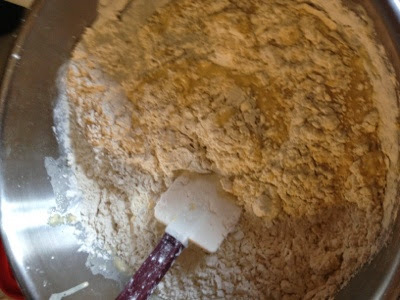 Once your yeast looks like this and your milk mixture is cooled (most of the butter will be melted), you can mix the dough. Whisk together the eggs. Then add the sugar and whisk. 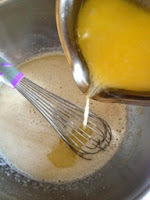 Add the yeast mixture, the butter mixture, and the flavorings, whisking between each addition. Add flour and salt. Stir until combined. Place into an oiled bowl and cover to let rise. Punch down and let rise again until doubled in size. Divide into 4 equal pieces (about 1 pound for each loaf). Shape the loaves as desired. 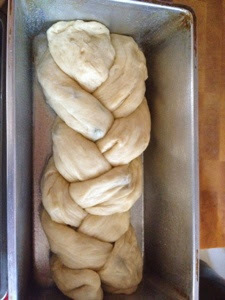 To braid loaves, break into three equal pieces and roll into strands. Braid strands. 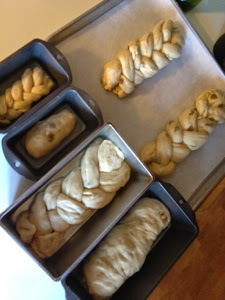 Place into a sprayed bread pan or onto a baking sheet with parchment paper for free-form Easter Bread. This makes a lot of bread! (Don’t worry, you can make Easter Bread Bread Pudding with any leftovers!) Cover and let rise. After about an hour, they should be doubled in size and ready to bake! Bake. An egg wash toward the end of the baking process gives a beautiful shine to the loaves. Add a pinch of sugar to the warm water. Sprinkle the yeast over the water to activate. Let rest 10 minutes, or until frothy. 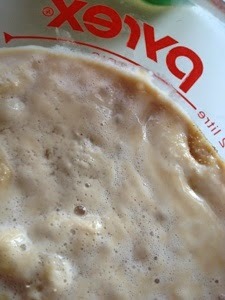 While the yeast is resting, in a small saucepan add the milk and butter. Scald the milk. 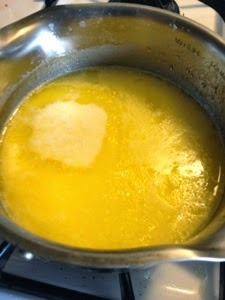 The butter will not be melted at this point but will melt more as the milk cools. 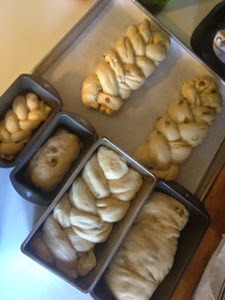 Once the milk is cooled down a little and the yeast is frothy, it’s time to mix up the bread. 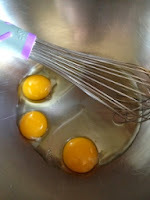 In a large bowl, whisk together the eggs and yolk. Add the sugar and whisk. 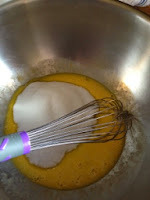 Then add the yeast mixture, whisk, followed by the butter mixture, and whisk again. Finally, add the anise and vanilla extracts and whisk. Now add the flour and salt to the egg mixture. 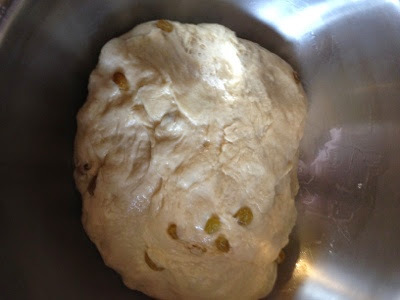 Stir until combined, then knead together until smooth. I needed to add a little extra flour here, but add sparingly. It should be soft and smooth but not sticky. It should not be stiff or dry. 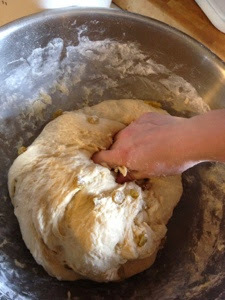 Place in an oiled bowl, then roll to coat so there is some oil on top of your dough. Cover and let rise in a warm place until doubled in size, about a half hour. Punch down. Cover again and let rise until doubled in size again, another half hour. 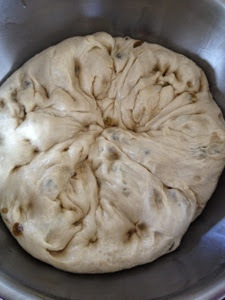 Divide into four equal pieces (should be just over 1 pound each of dough if you have a kitchen scale). 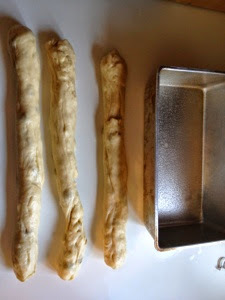 Shape into loaves and place into greased loaf pans or onto a baking sheet lined with parchment paper. Cover again and let rise until doubled in size, about another hour. Bake loaves for about 45-60 minutes. When almost finished baking (crust is no longer moist and started to brush with an egg wash made of one egg and a splash of milk. Bake for another 10 minutes before removing from the oven to cool.